Can you imagine this? You are a parent taking your child to school on a normal weekday. You drop them off, tell them “I love you,” then head off to wherever your next destination is. Hours later, you receive a call telling you that there has been an incident at the school and that your child is dead… What would you do? How could you possibly cope with a tragedy such as this? In Stillwater Rising, the first in her Stillwater Bay Series, author Steena Holmes expresses the point of view from multiple women who endure this very tragedy and offers a heartbreaking, yet hopeful story for fans of her work as well as to new readers. Jennifer Crowne struggles daily to live a normal life as a mother and as a committee organizer. How can she be normal when her son was killed in an elementary school shooting? Yet not everyone feels like this for not everyone lost a child that day. Charlotte Stone, Jennifer’s best friend and Mayor of Stillwater Bay, must look beyond the tragedy and keep the town together, no matter the emotional cost. This puts a rift in the friendship between these two women as they both deal with struggles the other will never understand. Now, they face each other on opposing sides: Jennifer wants the school closed down and a memorial put in its place while Charlotte wants to keep everything the same while also aiding the mother of the shooter to find her place in the community once more. It is a tough time for everyone within this small seaside town and the only way the town and its people will make it through this ordeal is with hope, strength, and courage. Reading about tragedies is always difficult, but they are terrible events that have the possibility of happening. There are even people out there now who have endured terrible tragedies of their own, who have lost loved ones because of terrible incidents. However, there is something amazing about these people, for even though they have endured pain and hardship, they had the strength to heal and the hope to keep living day after day. That right there is truly amazing and beautiful and Holmes commemorates these people within Stillwater Rising by making her characters and her town rise up from the ashes of a terrible tragedy and discover the strength to keep living. She even dedicates her book to these people, truly humbled by their strength. The talented Holmes expresses her beautiful and flowing writing style with her detailed descriptions, her well-plotted story, and her amazingly developed characters. All of these elements paint a clear picture in the minds of readers and makes them want to keep turning pages. She makes her story realistic, making it seem at times like the town will never heal from this tragedy, then at other times like the town is gradually on its way to being healed. This is all too true for it most certainly takes time to heal from hard times, but it is possible. This message is actually very inspiring to another audience of readers as well: those who are enduring a hard time in life. There will always be tough moments in life, some more difficult than others can hope to endure, and it will seem as if one cannot get through these times and be happy again. Holmes’ message of having strength and hope reaches out to those people, as well. There is always a way to pick oneself back up again and it is always easier to pick oneself up with the help of others: loved ones, friends, complete strangers. One must fight and win their inner battle, but they must also know that they are never alone in their fight. Holmes’ four main characters are what truly bring the story to life and express the aforementioned message to the readers. No one truly knows how they would react after a tragic event. Would one step up and do whatever it took to help others or would one shut down emotionally? Would one constantly blame whoever was at fault or would one be able to forgive and move on in life? There must be dozens of different ways people would react and each of Holmes’ four main characters has her own unique personality and handles the aftermath of the school shooting differently. There is Jennifer, the woman who can’t seem to get past her son’s death, who can’t forgive someone who is not at fault, and whose husband and daughter, unlike her, just want to get past it all. Next is Charlotte, a woman who did not lose anyone, but as Mayor must be strong for her town and keep it together, and who is proud of her husband, principal of the elementary school and hero of the tragedy, yet he never admits to being one. The most heart-wrenching is Julia, the mother of the boy who attacked the school and then was killed himself, who only wants to say goodbye to her son, yet is forced to stay indoors due to the town’s residents blaming her for raising her son “wrong.” And finally, Samantha, a reporter who is the last to remain in the town after the incident because she believes there is something more to the story as a whole and begs her editor for time to stay and find out what it is. 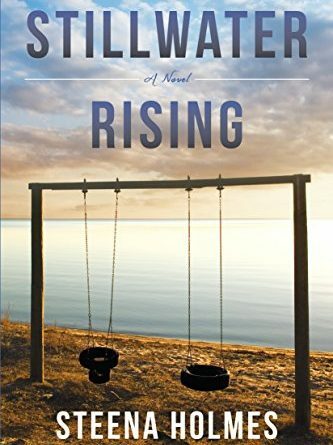 Stillwater Rising is a story about a terrifying tragedy and a story of healing from it. It is a story of pain and being able to have the strength to keep living even through that pain. It is a story about having the courage to be that light for others and to have everyone join together to make a once proud community strong once more. Holmes impresses once again with her storytelling and being able to evoke all kinds of emotions with each passing chapter. Her characters carry the story on seamlessly and even make readers wonder how they would react if they were thrust into that situation. 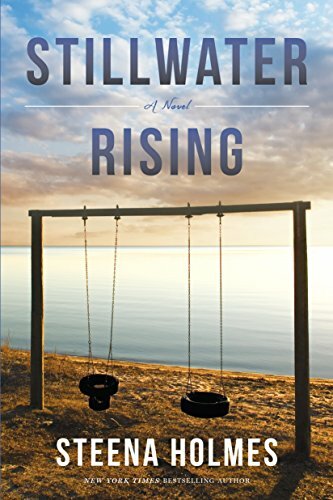 A wonderful story about strength, hope, and picking oneself up again, Stillwater Rising is only the first in Holmes’ Stillwater Bay Series. Upon completion of this book, readers should be on the lookout for book two, Stillwater Tides.